"Very pleased will be using it again "
"Product great. Delivery great. And felt great after 3 x days." "Phd meals are definitely my go to when I need a pick me up or know I'm having a busy week, as a mum it's sometimes challenging to find time to make healthy yet delicious meals but phd is so convenient and best of all taste amazing & I know I'm getting all my nutrients to keep up with my toddler. After days on the phd meals & juices I always feel so energised and I can tell a huge difference in my body & skin. Going to reorder now ha "
"Easy! Full of flavour. Feeling revived and fresh again. Thank you"
Sweet Greens are made of this! "The most delicious green juice on the market. Fresh and full of flavour as well as being so good for you. Recommend to everyone!" "I had an excellent 3 days doing the PHD Reset Me. The juice was all delivered ready to go which made it really easy. They all tasted delicious and I felt really good. I will certainly do the cleanse again soo ! Thank you!" "This was an excellent pack to purchase to share around the office. We only have a small staff so everyone got to try at least one of the juices. They went down very well. Thanks!" "I really loved this programme and can't wait to do it again and I have recommended it to heaps of my clients"
"I enjoy juice cleansing and would do more often if it was a little more affordable "
"Very easy and juices much nicer than I expected. " "This is my 4th 3 day cleanse and whilst it sometimes takes courage to order, (as I find the first day challenging) I LOVE how I feel at the end and the following few weeks! 'Clean', 'light' and loads of energy! I've recommended it to 3 other peeps who love it too !!!!" "Excellent, absolutely loved the salads!" "I definitely have an addiction to the cashew dream, the amount of innamon is just right, I can't help but drink more than one a day sometimes! Great cruelty free delicious nutritious option and great and filling for on the go, being a mum it can be challenging to have time for a yummy meal or snack so phd is definitely my go to"
"This was my third 3 Day Reset me cleanse and I would highly recommend it. By Day 2 I wake up feeling energetic and so clear headed. I love it! " "The Mini ResetMe 3 Day cleanse was awesome. Very easy to do and an excellent way to kickstart a new wellness routine." 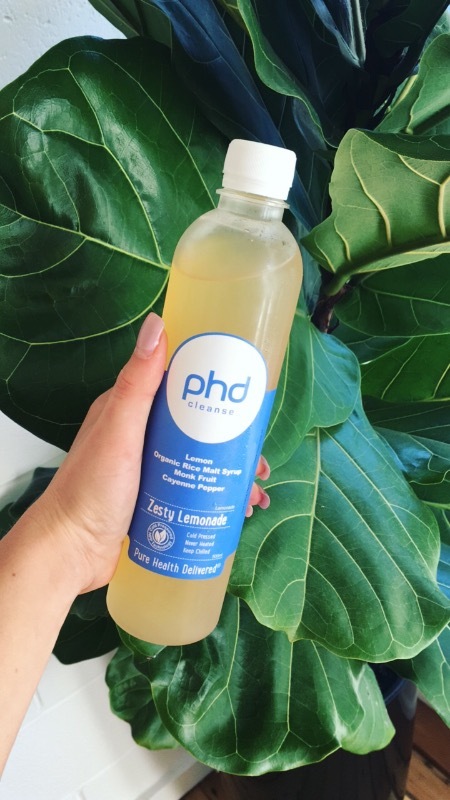 "I get items from PHD often and absolutely love every item from the drinks to the salads fresh healthy and such great value. I love it!!!!" "this feels like a real treat!" "yum, easy to drink, nice flavour"
"really filling, nice taste, and didnt leave bitter after taste! Def have it again!" "Their green juices are epic!" "Really delicious! Wish were certified organic but I'm guessing it mostly is. Seriously such good quality juices!!" "Love the taste everything blends well together, definitely noticed a change in my skin after a few days. Radiant! I will be buying again :)"
"Great. This is the second time I have done the reset me. I felt euphoric and quite relaxed by the 3rd day and definitely want to include the juice in my future eating choices!! " "I found it very refreshing and full of flavour. " "So easy. Juices were easy to drink and the salads were very filling. Definately do again. " 3 Day Reset so worth it!!! "I really enjoyed the 3-day reset me cleanse.. My husband and I went halves just to see how it would go, so we topped up with salad and poached eggs for dinner each night and stuck to the juices though out the day, both of us felt full on the 1/2 bottle of juices, we felt amazing, not bloated or sluggish, lost a few kgs.. wish we could afford to do it for longer and more often, We will be using PHD again for sure."